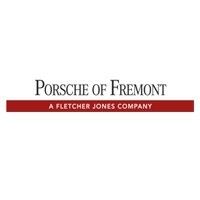 Financing with Porsche Fremont is never a chore. Whether you’re looking for a low-interest car loan or an easily manageable lease, we can find the most advantageous auto financing to meet your needs. Financing through Porsche Fremont means gaining access to fantastically competitive loan rates and incentives — we’re always pleased to reward our loyal clients. Of course, our finance team is also happy to work with both national and local lenders. Find the best lease or finance deal on that Porsche you’ve been longing for, because why not drive the car of your dreams? We offer competitive pricing to help you to get into the perfect vehicle at terms that fit your budget. If you know what make and model you’re after, you can start the financing process right now by using our quick and easy online form. We know a vehicle is a big investment so exploring all your options is a good thing, like leasing a car. When you lease a Porsche, you can customize your monthly payment and length of time.